PINK STRIPES WITH PURPLE STAR - TEEPEE. GREY LINEN WITH PURPLE STARS - TEEPEE. 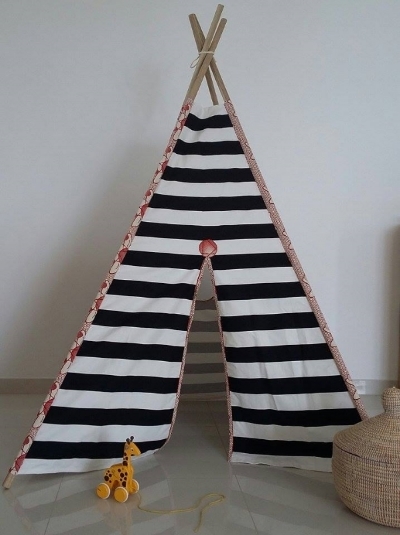 BLACK AND WHITE STRIPES WITH FUCHSIA AFRICAN WAX - TEEPEE. All our teepees are 1.1m x 1.1m at its base and 1.8m tall. All our teepees have a window on the back side.